Planning for a trip is quite tedious. Whether it is an individual tour or vacation or a group retreat, every detail must be accounted for- transport, activities, sceneries, food and accommodation. In every person’s mind, there is a secret desire that is only fulfilled by the ultimate experience. Although the Niagara Falls is a complete wonder to every visitor, there is always something on the inside that yearns for more. It creates an expectation of something out of the ordinary, something that comes with a certain unknown fear. Well, this fear of disappointment ends when the visit starts at Fallsview Casino Resort. 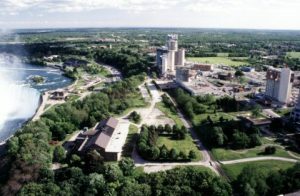 Located near the Niagara Falls, the Fallsview Casino Resort offers an excellent view that is in itself refreshing. But just viewing the falls can prove to be boring. So there is a wide range of activities to keep the energy flowing. These range from heart throbbing entertainment, cool shopping, great food and unforgettable nights at the hotel rooms. Moreover, services such as transportation are also available. And one does not need to roam from one corner to the next to looking for direction. Everything is available from one point. For children, these may be enough. However, every adult will sense that there is something still missing: the casino gaming experience. Indeed, Fallsview Casino Resort offers a gaming experience like no other. The casino is so large, approximately the size of three football fields combined! But it is not just the size. The room has carefully arranged gaming machines and tables, with the number of slots totaling to about 3,000. The players are separated players by their level of gaming and desire for privacy. Apart from the main gaming floor, the Salon Privé is exclusive to sophisticated gamers who love discretion. A third room also exists: the sapphire room. Irrespective of the different gaming rooms, two things are common – the thrills of gaming and the range of money that one can spend on the slots (from 1¢ to $100).